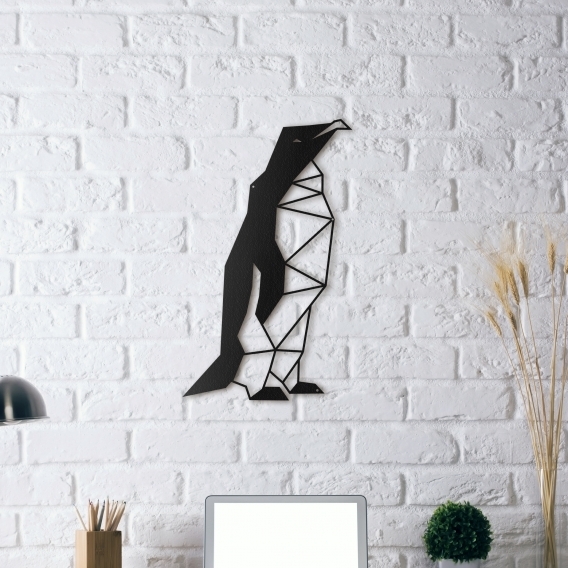 Leave for the ice floe with our penguin metal wall decoration ! A unique design to decorate your interior with an animal metal sculpture . The dimensions of this metal wall deco are 30 x 50 cm. 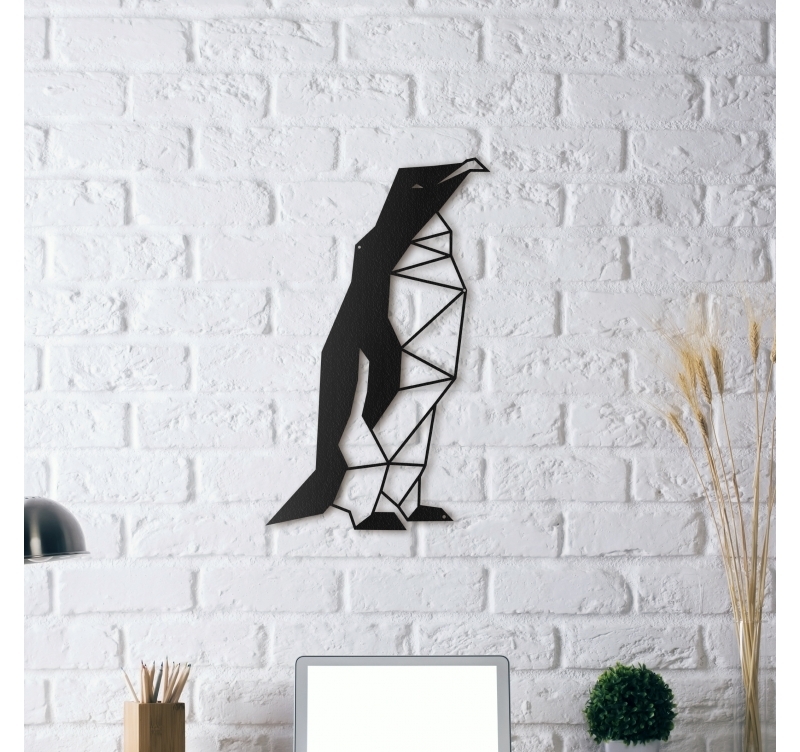 This penguin metal wall decoration is delivered free in metropolitan France and Belgium. This black and white wall decoration takes you straight into the polar cold ! Our creators worked twice as hard to propose you with a modern metal deco design penguin. Out of our metal wall decoration collection, this young contemporary penguin will be the perfect touch for an original ambiance in one of your rooms. Ideal for your bedroom wall decoration, you can also hang up this metal deco penguin in your lounge to create a trendy corner with other works of art. All our design wall decorations are hand made by our creators and treated with a black finish for a long lasting quality. This penguin metal wall decoration is wrapped in foam and inside a protective cardboard box for a safer delivery.